Now you know Why Related Posts Are important? 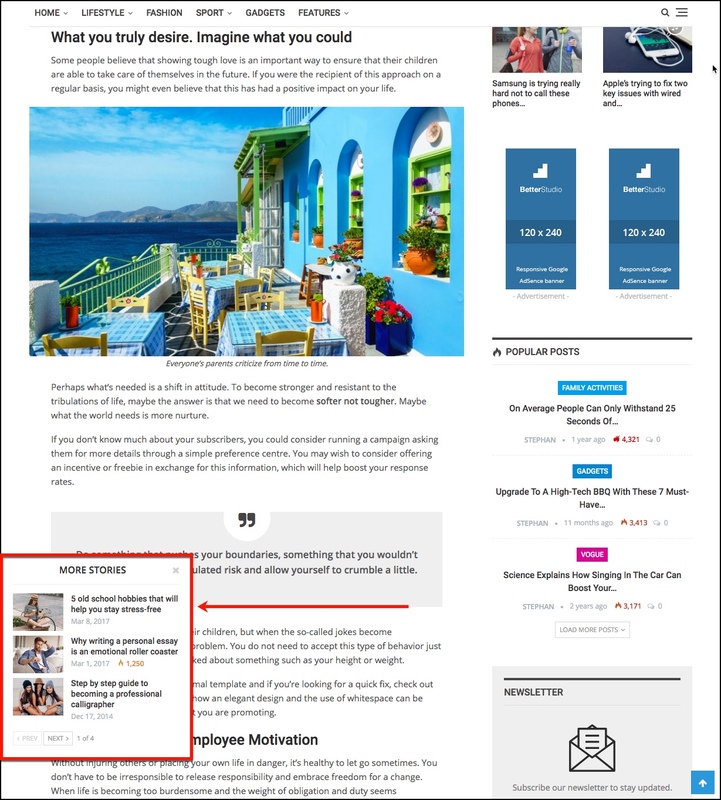 also have read about Related Posts & Inline Related Posts, it’s time to get familiar with More Stories Pop-up. What is More Stories Pop-up? By scrolling down the post page, it pop ups from page side and attract visitor attention. More Stories Pop-up, just like related posts, shows posts related to the current one. 1- Show More Stories: Show/hide More Stories Pop-up. 3- More Stories Listing: You can choose a style for More Stories Pop-up between 7 different styles. 5- Offset Posts: Start the count with an offset. For example if you have Inline Related Post which shows 3 posts before this, you can make More Stories to start from the 4’th post (by using offset 3). 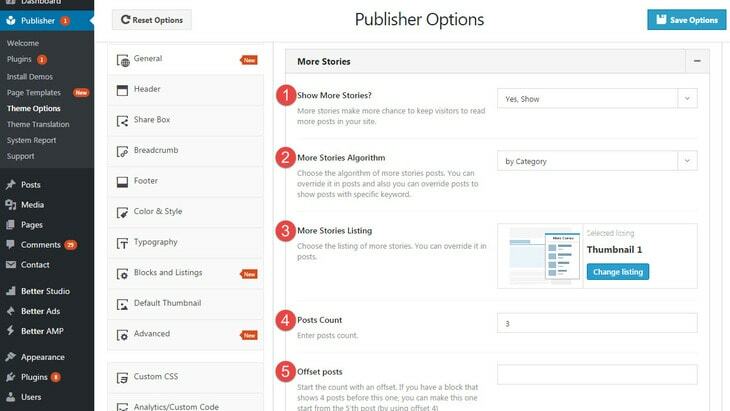 6- Show Pagination: Enable/disable pagination for More Stories block. By clicking on Next/Prev buttons, new posts will load by Ajax (no need for refreshing the page). 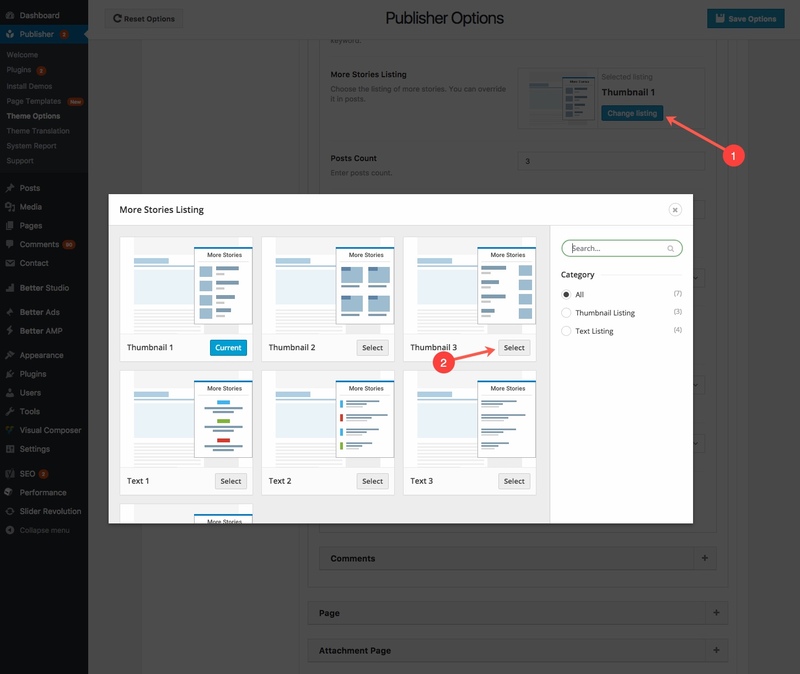 7- Show Pagination Number Label: Show/hide current page and total pages number. 8- Display More Stories After x Pixel Scroll: More stories will be shown after 450 pixel scroll by default but you can change it to a custom value. 9- More Stories Position: Choose left or right for more stories pop-up. 10- Display More Stories After x Pixel Scroll: More stories is shown after 450 pixel scroll but you can change this number. The above setting is default for all posts but you can override it in every single post. To do that follow below steps. 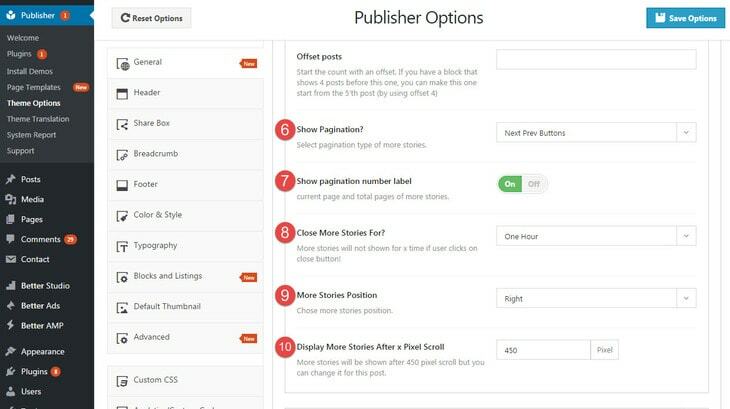 From now on, every option is just like what we saw before, to get familiar with them, read above and change More Stories options as you want for this very post, there is only one extra option. 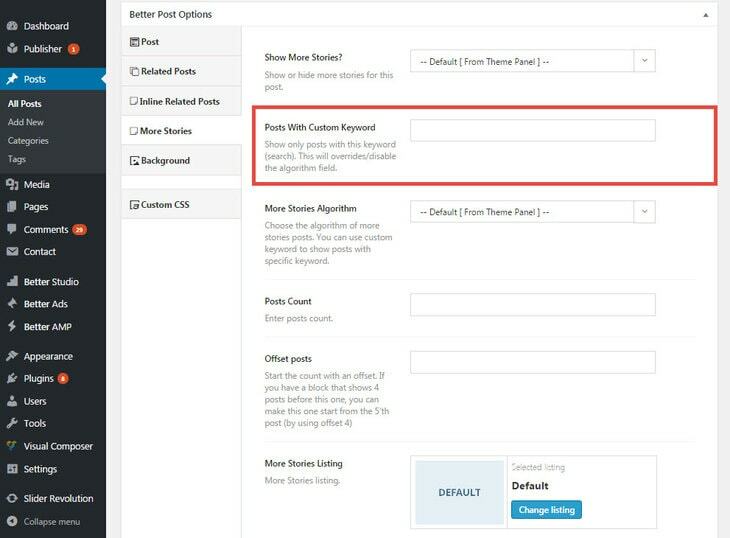 Posts With Custom Keyword: Show only posts with this keyword (search among posts). This will override (disable) the algorithm field (next field).